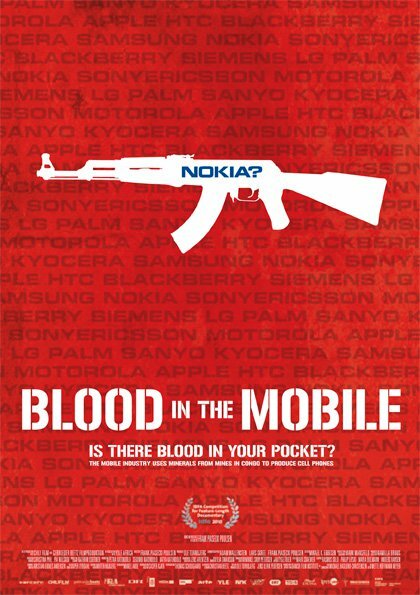 I've just finished watching the movie Blood In The Mobile which is a movie-documentary by the Danish film director Frank Piasecki Poulsen. The basic idea behind the documentary is that to create a cell phone, you need to import special types of commodities from Congo. The problem is that the money received from the purchase of these commodities may finance the currently on-going civil war in Congo. It is possible to find different types of commodities in Congo, including: gold, diamonds, and copper. This documentary focuses on cassiterite. 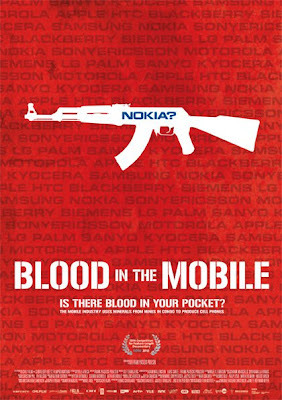 "We don't have visibility into the activities of commodity suppliers participating at the beginning of the hardware supply chain"
Before I watched the documentary, I first thought it was one of those anti-capitalist movies, but Frank Piasecki Poulsen seems really concerned about whether his cell phone has sponsored the civil war in Congo. This is always a moral dilemma. Is it better to stop buying commodities from poor countries and let the people in the country starve? Or, is it better to invest money in the country, and hope that the country may use some of that money to build a better future for itself? "Pulling out of DRCongo would be the wrong approach. Instead, the global electronics industry has to acknowledge its responsibility, and start to conduct proper due diligence when sourcing their mineral inputs as well as proactively to support the general reform process in the DRCongo."